Hi, I am looking for some advice or a contact within your club to talk to in relation to getting club gear ordered for my own angling club in Donegal. I have seen some of your hats, jackets e.t.c through a friend and they look impressive. Your advice would be appreciated. Contact me on 0872113084 or paul.lafferty@scottwilson.com. Thanks. the plantin burn has been a cause for concern for many years now. the club has been trying different avenues to get this problem finally sorted. at present there are two projects been carried out by DOE in draperstown. one is up at whitewater court in straw, and the other is at the sewage works behind moykeeran. these projects may be linked. the unfortunate thing with reporting a pollution to EHS is that under there new guidelines they will not come out to investigate a pollution incident on a river unless there is a fish kill, which is absolutely ridiculous. but as for prosecuting the DOE, crown immunity has now been lifted from government bodies so hopefully this will make them more responsible for there actions. can i ask you and anyone else to document time and dates of pollution incidents. who you rang and how long it took for them to respond, firstly to your call and secondly to a site visit. this information is very useful to friends of the earth who will fight a case if they have the proper information..
Once again the Plantin Burn in Draperstown has been turned into an open sewer. I spotted the discharge this evening, in fact I could smell it while still 200 yards away. I reported it to the polution hotline at six o'clock and received a call from Norman Henderson from the DOE fifteen minutes later who said he would get it sorted out as soon as possible. This is a problem which I have reported several times before but it still keeps occuring. Can no action be taken against the DOE or are they beyond reproach? I'm not going to get the canoe debate going again, but... I was fishing last night at Forgetown, when a three men on a raft came downstream. They told me they were heading as far as Curran. Anyway, after the raft passed, I was still able to catch trout, one was close to a pound. I know we don't want the river becoming a canoe highway, but there seems to be little harm in this, it might be a good way to police the river, especially further downstream. I was out Sat night walking my dog at Bradleys Dam, I had to remove approx 20m nylon fishing line wrapped around the dog.Could I appeal to everyone to please make sure all fishing line etc is disposed of properly and not left on the bank to create a hazzard for birds and wildlife that visit the dam or the river. thanks for the reply seamus, il will try the ponds sum evenin with the fly and see if they are taking. Today the sun is shining which shud bring a gud hatch of flies out so time to bring the dry flies out again, tight lines. hi everyone, me and my son where up fishing on moyola last week, it was in a bit off a flood, met a lad called Anthony, great lad, made me and my son very welcome, showed us some great spots to fish. i truly think what one off the anglers said about ,its ALL our duty to keep the river going as good as we can, and not to let those who wish to destroy it,get there way. i wish to fish there with my son for a very long time, and for that to happen we all need to take some responsibilty, . if we as anglers , keep looking out for the river then things can only get better. tight lines Michael. A warm Hello from Saint John, New Brunswick , Canada. Tight lines! 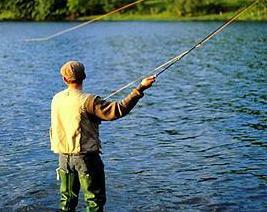 The ponds at tobermore are free to fish for any club member. there are brown and rainbow trout mostly from 1/2 lb to 2lb. all legal methods apply and the season is from march 1st to october 31st..
tight lines i'll see up round curran..
Next committee meeting will be held on Monday 18th May 2009 @ 8pm in Tobermore United Football Club. Minutes of last meeting are on their way by email or snail mail. the trout fishing around curran has been great this year so far, ive had 6 trout over 1 lb the bigest 1lb 3/4 all on nymphs. Cud sumone from the club tell me about the pond at tobermore drivingrange example, wheh can i fish it, wat dose it cost, wat size of fish are in it, please reply thanks, paul. Kevin, this club has always worked well upon the concept that individual anglers take it upon themselves to report incidents such as these to pollution hotline, local council, take pictures etc. Obviously we are all concerned by this, but each angler I believe has a duty to take some action.